• The 6th annual Automotive News Europe/SupplierBusiness OEM-Supplier Relations Study was conducted in May and June 2010. • Executives at 192 automotive supplier rated automakers on factors such as pressure to reduce price, chance to make a strong return on investment, quality demands and trust. • Of the respondents, 50 percent have their company headquarters in North America, 41 percent in Europe, 9 percent in Asia. BILBAO, Spain – BMW AG is the automaker that suppliers most want to do business with while Volkswagen's relations with suppliers have taken a hit, a new survey shows. BMW rose to No. 1 from fifth in attractiveness as a partner for partsmakers while VW was singled out as the automaker that applies the most pressure to reduce prices. Those were some of the key results from the 6th annual Automotive News Europe/SupplierBusiness OEM-Supplier Relations Study that were released today at the ANE Congress here. 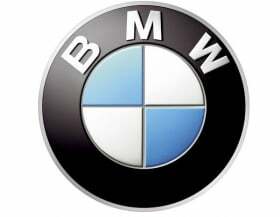 BMW was the most attractive partner for suppliers in the 2010 study followed by German rivals Audi, Mercedes-Benz and Volkswagen brand. BMW's rise to the top in attractiveness as a customer is quite a turnaround. BMW ranked fifth in attractiveness in last year's study and had been slipping in the category since 2007, which is when BMW head of purchasing Herbert Diess was directed to cut 4 billion euros (about $5.7 billion) in costs by 2012. Ford's North American division also made an impressive improvement in attractiveness, rising to No. 7 from No. 13 last year. While Ford of Europe slipped to No. 12 from No. 9 in attractiveness. Chrysler finished last in the category. VW has replaced General Motors Europe as the automaker that puts the most pressure on suppliers to cut prices. Leading in this category usually results in tense supplier-automaker relations. "When it comes to purchasing, VW is the most hated automaker among suppliers. VW applies the highest amount of price pressure on its suppliers and provides the lowest margins," said an industry source who asked not to be identified because he works with the German automaker. "Since the start of this year, VW has been asking many of its suppliers for price decreases as high as 10 percent on all of the parts it gets. Suppliers hate this, but nobody can say no to VW because if they fail to get a large contract they can pretty much close down one of their plants." VW's stated goal is to be the world's largest automaker by 2018 with annual sales of 10 million vehicles and a pre-tax profit margin of more than 8 percent. To reach this goal it will be focusing on costs as well as production optimization. Porsche made the lowest demands to reduce price, followed by Jaguar Land Rover and Volvo. VW's luxury car subsidiary Audi rose to No. 1 in the study when suppliers were asked: Which carmaker makes the highest demands to achieve high quality? Audi ranked No. 4 in the 2009 study while Toyota ranked No. 1. Toyota slipped to No. 3 in the 2010 survey. Audi's goal is to be the No. 1 premium car brand in the world by 2015, when it wants sales to rise to 1.5 million units a year. Porsche was tops when suppliers were asked to name which automakers provide them the best opportunity to make acceptable return on investments. Porsche was No. 4 last year in this category. Toyota slipped from No. 1 in this category last year to No. 7. When suppliers were asked which automaker they trust the most, Toyota repeated as No. 1.